Wind, rain, shorter days, colder nights and pumpkin spice lattes. Just a few things that come to mind when I think of Autumn. Oh and of course the brilliant array of gold, red, orange and yellow leaves contrasted by the mended green grass, staged inside layers of morning fog while the sun penetrates with its rays of glory! Today marks the first day of Fall for the year 2014 in the northern hemisphere. And in light of or “lack of” this annual occurrence, I would like to take a moment to really consider this seasonal change. 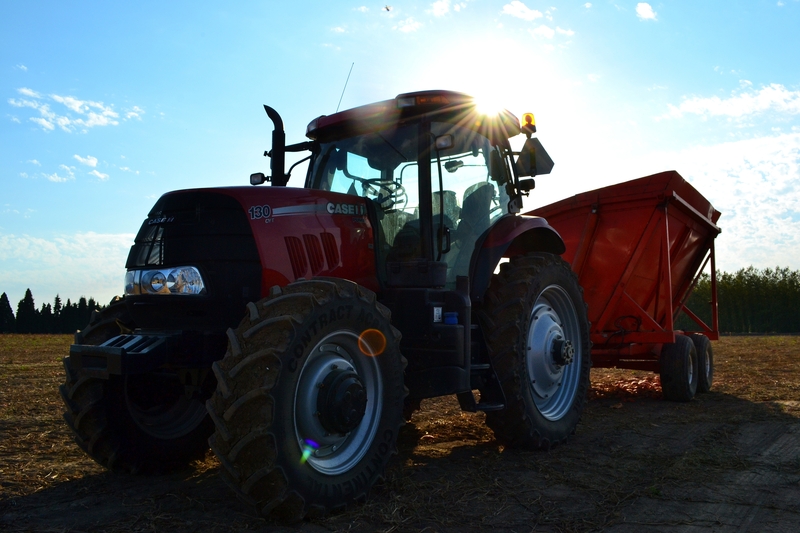 Seeing farm equipment work the crops is a daily occurrence during Fall. Fall, or Autumn comes just once a year and begins on the Autumnal Equinox. At which point in time the season is precisely halfway between Summer and Winter. And because of the Earths tilt on its axis in conjunction with its place in orbit around the sun, the day is exactly equal to night. In fact the term Equinox comes from the Latin meaning “equal night” The day will continue to become shorter until the winter solstice at which point the cycle starts over again and days get longer until the summer solstice. However in the southern hemisphere our Fall is actually the beginning of their Spring. The term Fall or Autumn wasn’t commonly used until the 16th Century, before which people called this season Harvest. During the Spring and Fall equinox the suns rays is aimed directly at the equator. Historically Harvest season was a busy time for our ancestors. In the days before imported food, Harvest meant the life dependent work of gathering and preserving the finishing crops. Nowadays, here in the Pacific Northwest, we have a claim to fame to many outstanding crops. While the farmer is hard at work gathering their cultivation, natures produce awaits the outgoing forager. And since Fall has just officially started soon enough the winter chill shall recycle this years vegetation. So before the coming solstice, muster up ambition to forage, preserve and enjoy this Harvest season! 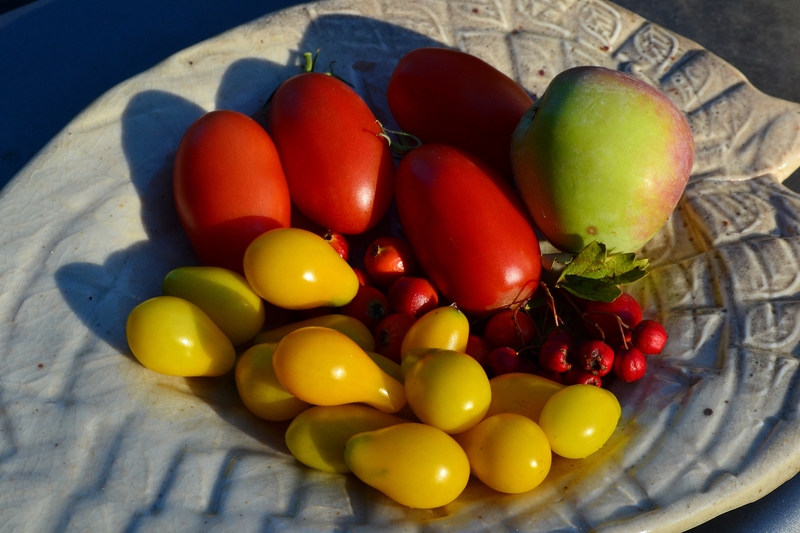 Tomatoes, rose hips, hawthorn berries and an apple all in a quick gathering from my backyard. 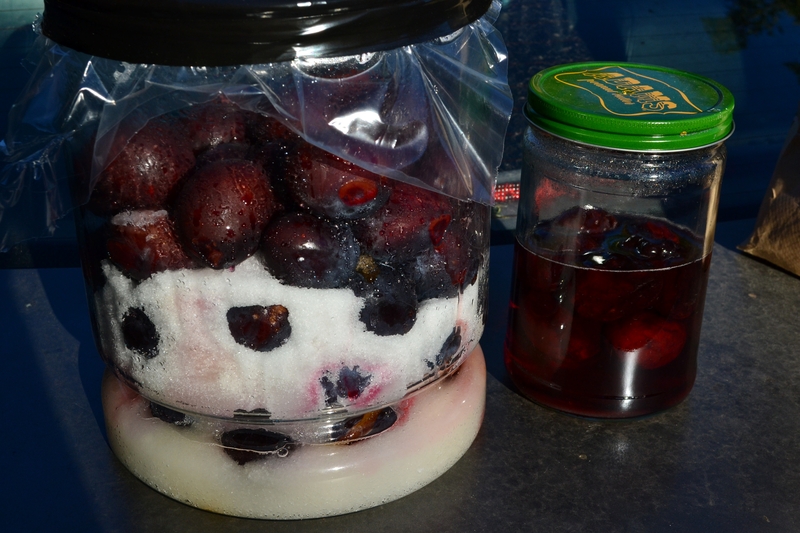 Fruit liquor is an easy and fun way to enjoy this years harvest. Add whole fruit to jar with equal amounts sugar, cover and allow to sun “sweat” its juices for a few weeks. Mix sugar juice with equal parts vodka, and ENJOY! 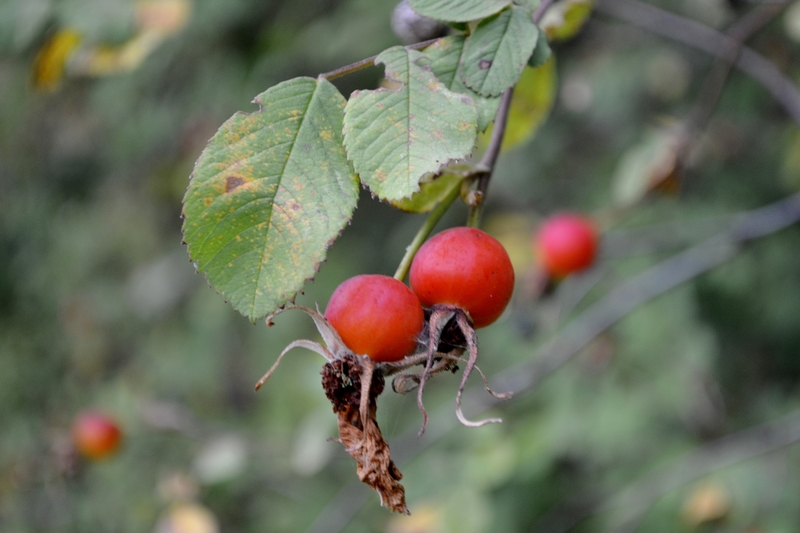 Rose Hips will remain long after Fall sometimes even into the next year. 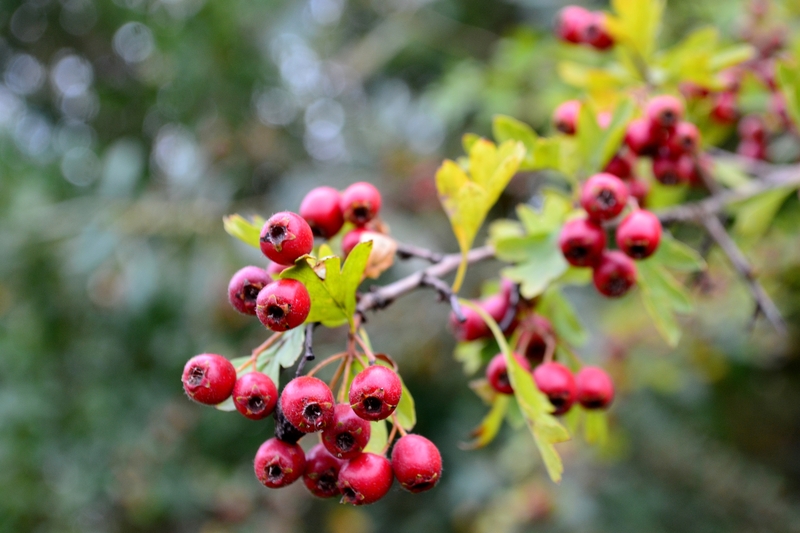 Dry the red skins for a tasty tea rich in vitamin C.
Although not recommended to eat the seeds, Hawthorn Berries have been reported to be very good for heart health and strengthening the blood vessels. It also contains vitamin C and B complex and is high in antioxidants. 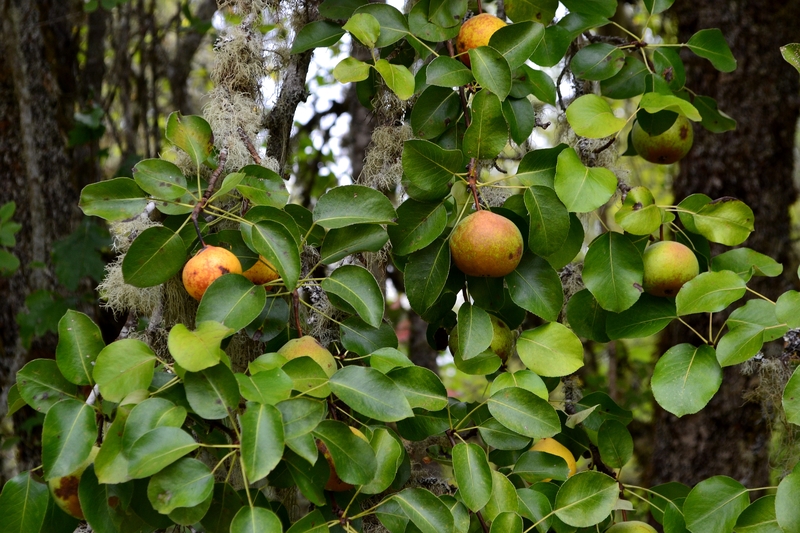 Pears are ripe and juicy! A tasty snack and a good source of natural sugars, fiber and vitamins C & K.
Do to an overly dry summer this years harvest of walnuts may not have been the greatest, still they are considered to be another one of natures super foods. Walnuts are high in vitamins, minerals and protein and studies have shown that Walnuts can promote heart, skin and tissue health. Click on the picture-link to read a great article about how Walnuts can benefit you. Grapes are another great source of antioxidants and is “heart healthy”. 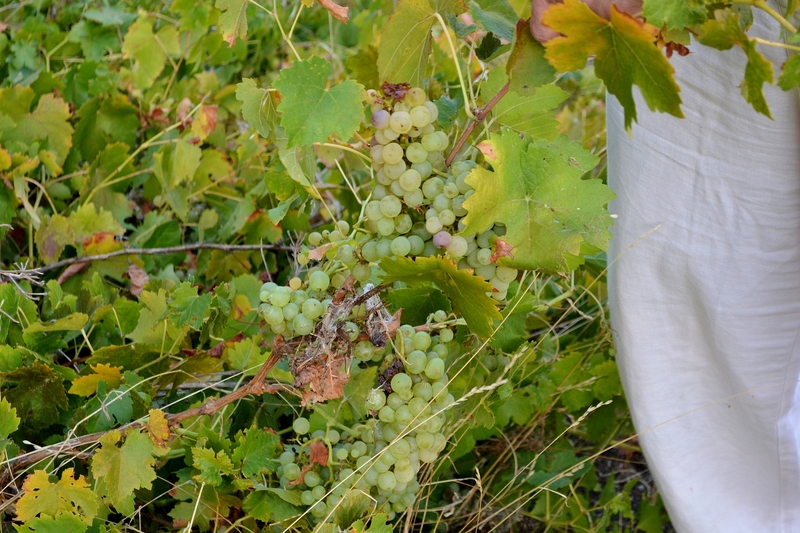 Preserve your harvest by making raisins or wine. Henry, I moved to my current residence a year ago and saw an unfamiliar plant growing in a distant corner of the property. I watched it bloom with massive clusters of white blossoms, then develop tiny, hard green berries that turned plump and bright red. The berries hung in clusters and simply glowed with life. I trimmed a small branch off that contained a leaf and berry sample, then used google to figure out what the bush is. It’s an Wild American Highbush Cranberry. I picked all the clusters two days ago, stripped the berries off and have them frozen for now. I got almost three quarts. I found a recipe online from an old New York Times newspaper that give directions for making jelly from the berries so that will be my next project. Love your website.